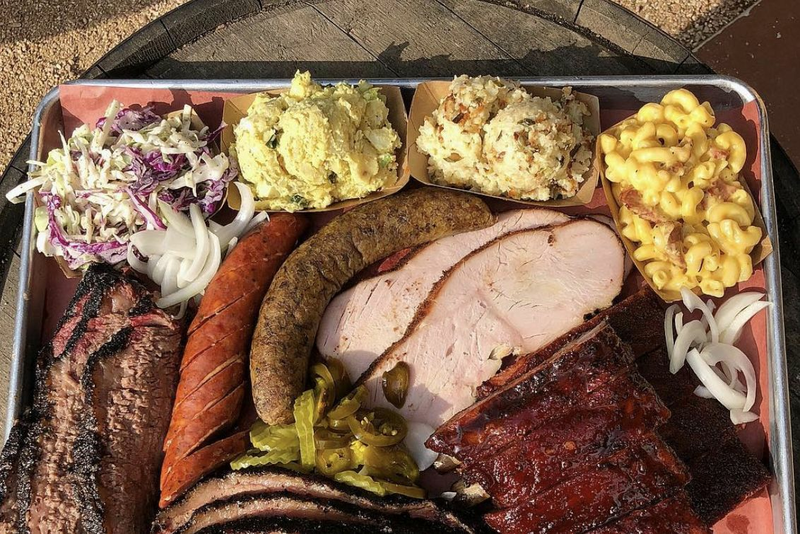 Is Great Texas Barbecue Still Great Without a Line? The spiffy new, 4,200-square-foot location of Gatlin’s BBQ in Oak Forest raises the question. Is great Texas barbecue still great Texas barbecue without a line? The spiffed-up new iteration of Gatlin’s BBQ raises the question. 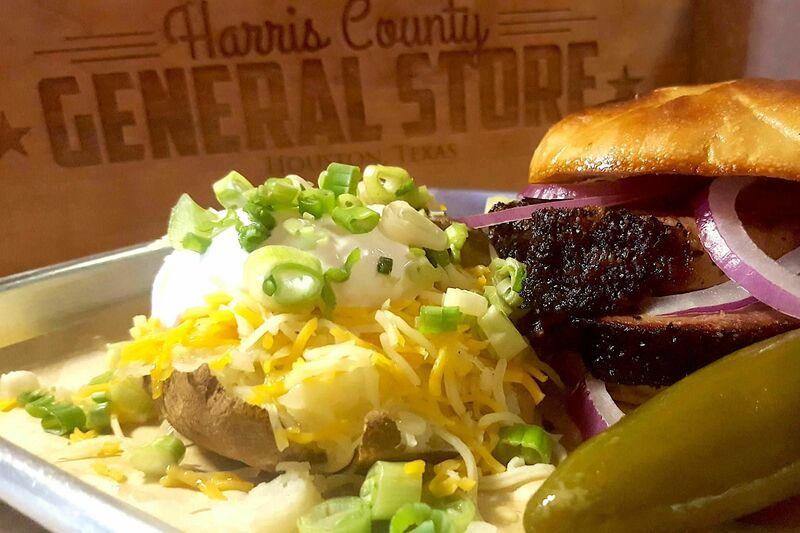 The original, opened by owner and pitmaster Greg Gatlin in a small home in the Heights in 2010, was 700 square feet; the new location, which opened over Labor Day weekend, is 4,200. On each of two visits, we were served right away, not that I’m complaining. The place is finished in rustic wood to conjure a barn, with high ceilings and a towering woodpile stacked against one wall. Nevertheless, careful branding and a slick look are in effect here, giving an almost-too-clean impression that, thankfully, changes at first bite—earlier, if you’re lucky enough to be helped at the counter by Gatlin’s charming mother, Mary, who also makes homespun desserts such as fudgy brownies. The victuals here are, in fact, wholly earnest and mostly excellent, something that will come as a surprise to few. 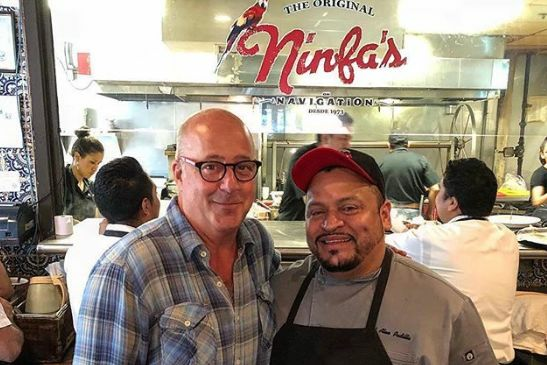 When it opened, Gatlin’s led the charge of Houston’s barbecue revival, well before the likes of Pappa Charlie’s or Killen’s arrived on the scene. Today, it still stands out as an exceptional Houston representation of the storied African-American barbecue traditions born out of East Texas. In appropriately down-home fashion, diners order from the chalkboard menu at the counter, although a fast-casual-style buzzer alerts you when your food is ready. Not every meat is available every day, so I missed beef ribs and baby back ribs as well as turkey, but was able to try all other forms of flesh Gatlin’s offers. 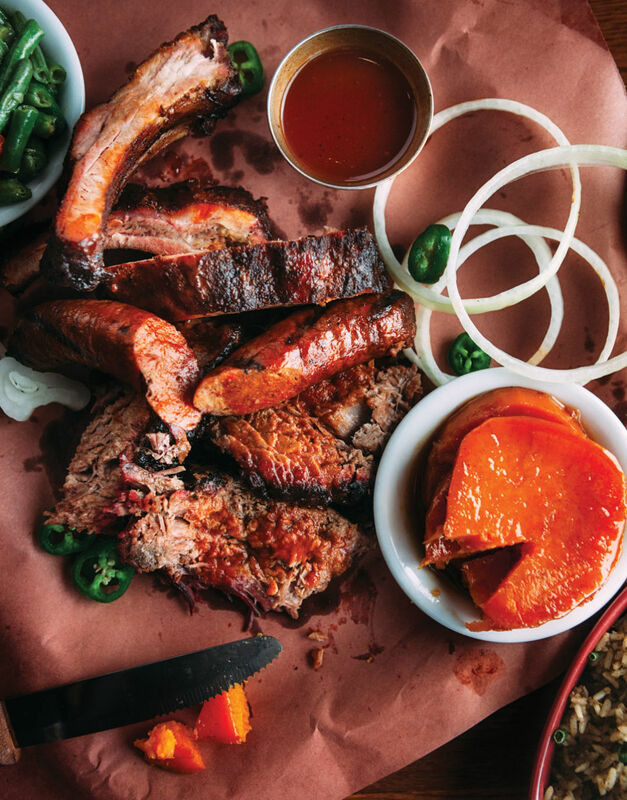 The best appeared together on the Big 3 plate: St. Louis-style spare ribs that held their flesh firm until teeth tore it away; brisket with hickory-scented bark outside and a melting interior; and snappy, surprisingly juicy venison sausage. I gave the chicken two chances. On the first try, it was overcooked to the point of mush; on the second, the texture was better, but the spice rub was so thick that even my heat-loving dining partners were gasping for water. Pulled pork was solid, if not a match for the Big 3. The side of barbecue sauce, tangy and sweet with a hint of spice, is roundly beloved for good reason, but the spice-rubbed flesh can speak for itself just fine. 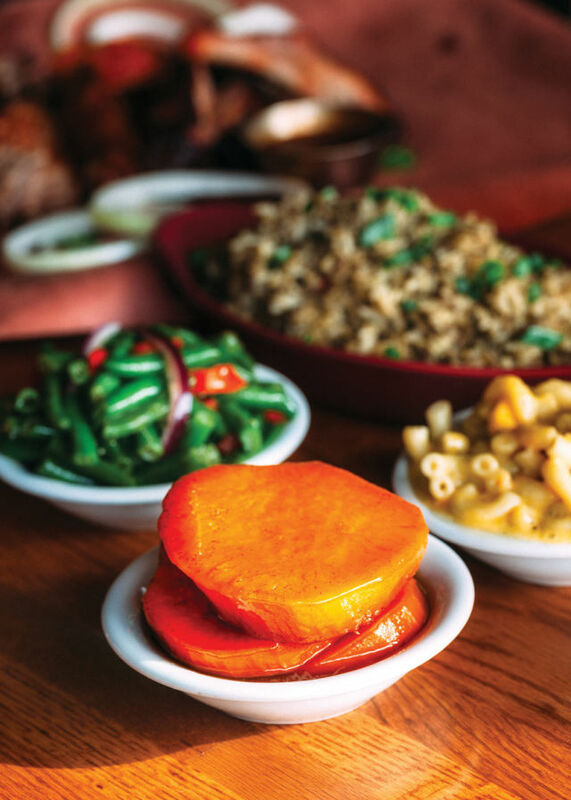 Sides, like the meats, come and go from the menu. I didn’t hit Gatlin’s on a creamed corn day, though I’ve heard raves. What I was able to try was a mixed bag: The coleslaw wasn’t too heavy on mayonnaise but didn’t have much else going for it either, and, surprisingly, there wasn’t much smoke to the smoked corn served off the cob. Still, there were more highs than lows. Dirty rice was herbaceous and thick with chicken liver, while collards were woven with pulled pork and the candied yams were rich without a sugar overload. But the biggest surprise was the charred-edged squash and caramelized onions. A successful fresh veggie dish at a barbecue joint? That’s a milestone worth recognizing. Best of all, there’s no calendar wrangling necessary to make time for a line. 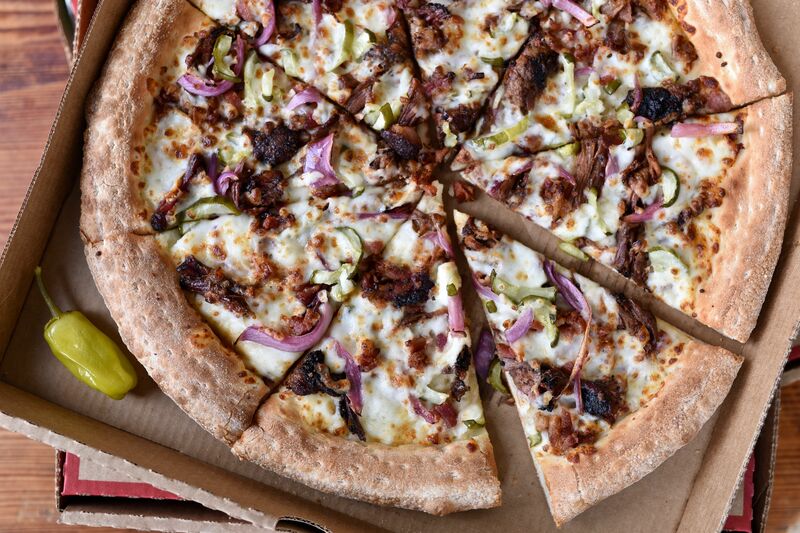 That brisket is ready for you when you want it.